Alternative forms of production and consumption are a hot topic in urban research. Cities are the breeding grounds for a wealth of bottom-up initiatives that try to establish fairer and more sustainable models. Researchers try to keep up with this transformation, but aside from the remarkable work of the Real Economy Lab, little has been done to overview of the movement. It is particularly difficult to grasp its geographical scope. Citizens have little to go on while trying to find the next swap shop or coop repair café in their neighbourhood. To make these services more visible, activists have made plenty of digital maps of their initiatives. Because we at TransforMap believe they offer valuable insights, we have started to collect them in a rough wiki and identified over 200! (A similar initiative, “The Map of Maps”, has been launched by a transnational working group in SEiSMiC. — Ed.) Now we are working to connect the people behind those maps by curating a forum where we discuss the contours of an open infrastructure. It would connect maps into a common pool of data that citizens could visualise through a single map presenting all alternatives. And users could provide information that is missing. One can easily understand this data’s value for urban research or sustainability transition scholars. Prototype development is ongoing throughout the first half of 2016. Because researchers often have skills (e. g. writing, facilitating) and access to resources (e. g. time, IT infrastructure) they can support grassroots processes that often lack those. In doing so, they should pay attention to some ethical considerations. Among others, researchers should always be careful not to pre-empt the process ownership and be aware that the design of participation infrastructure (e. g. an online forum) strongly influences on patterns of participation. Citizen science was early on defined as a science that addresses the needs of concerned citizens – often in the context of environmental justice (Irwin 1995). But in practice, the concept of citizen science generally refers to the use of citizens as cheap sensors or data crawlers who have been deprived of any agency in the process (Nascimento et al. 2014). 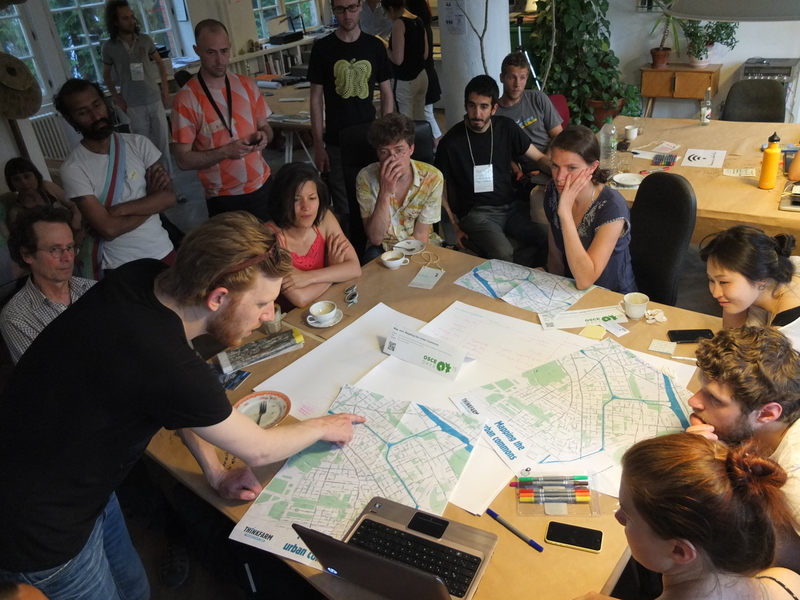 From my experience in TransforMap, I see an opportunity for researchers to contribute to existing grassroots efforts that aim at co-producing shared knowledge resources – commons. This way they can contribute to a true citizen science, a science that has direct impact in facilitating transformative change. Instead, too often researchers act as freeriders of open data while not giving back anything more than a paper published in a paywall journal. If you want to know more about TransforMap, get involved in the conversation! Check in at our forum Who’s who or engage on Twitter @transformap.